Google creates its own online encyclopedia. In contrast to the existing donations of Wikipedia, Google will earn on advertising and will attract experts to write articles. According to analysts, the ability of Google to promote the resource is higher than that of Wikipedia. Internet company Google announced the launch of the Knol Knowledge Base initiative, which will be in many ways similar to the free online encyclopedia Wikipedia. This was announced in his blog by Google Vice President Udi Manber. Knol will contain free articles on various topics, and users will be able to edit materials, however, in the case of Knol, this will require the consent of the original author. Now the tool for working with Knol data is being beta-tested in closed mode. Wikipedia – the most popular inernet-encyclopedia, which is freely available. It was established in 2001. Each registered user on the Wikipedia website has the right to make changes to the encyclopedia articles. Now Wikipedia contains more than 6 million articles in 250 different languages. On the pages of the encyclopedia is not placed ads, and its support is provided by voluntary donations. As of September 2007, the largest section of Wikipedia was English-speaking – more than 2 million articles, the second – German, over 0.6 million articles. Another 15 sections contain over 100 thousand articles, including the Russian “Wikipedia” (the current number of articles is 220,517). About three dozen sections contain from 20,000 to 100,000 articles. The Wikipedia site is the fifth most visited on the Internet. The only thing that is available now as an example of a new service is the first article for Knol posted on the Google corporate site. It deals with insomnia, and its author is Rachel Manber, a professor of medicine at Stanford University. In the PR-agency Maslov and Partners, which represents the interests of Google in Russia, told Gazeta.ru that the start of Knol in the network will take place in two or three months. Initially, the encyclopedia will be available only in English, but Russian is among the 14 priority languages ​​in which Google plans to localize the service in the first place. The main feature of Knol is a different business model compared to Wikipedia. Google is going to make money on advertising on the Knol pages, while Wikipedia is a non-profit project that comes with donations. Google’s revenue in the third quarter of 2007 was $ 4.23 billion and increased by 57% compared to last year’s figure for the same period of $ 2.69 billion. The company’s profit was $ 1.07 billion, a 46% increase from the third quarter. 2006 According to data for April 2007, which results from the American analytical agency Market Share, up to 70% of requests in the world are made using Google. To share Yahoo! accounted for only about 11% of requests, and using Live Search from Microsoft – only about 5%. In the contextual online advertising market, Google’s position is close to monopoly. The authors of Knol articles will also be financially interested in the success of the project – Google plans to list a certain percentage of advertising revenue to them if they agree to place banners on their pages. In this case, the total amount of remuneration will depend on the number of visits to a particular page. Materials, unlike Wikipedia, will not be anonymous; each article will be accompanied by the name of the author and protected by intellectual property rights. 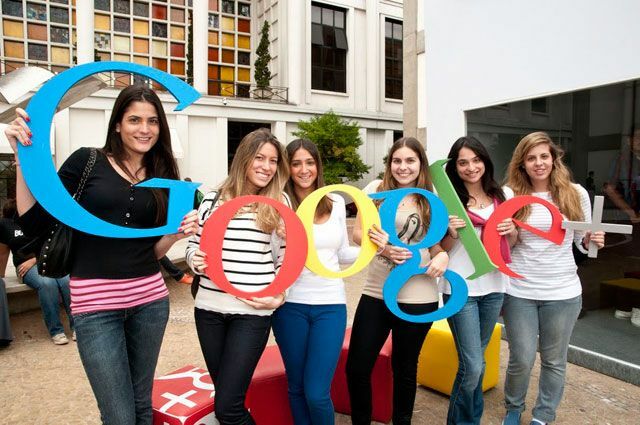 Thus, Google hopes to attract specialists to the project and improve the quality of materials. The quality of articles will be evaluated by users. In Knol, the existence of various articles on the same topic is possible, however, those that received the highest marks will appear first in the search results. Danny Sullivan, Search Engine Land analyst, believes that Google will use its search engine to promote Knol, the online version of Forbes magazine said. The analyst notes that Google distributes search results based on the number of links to this site on other web pages. Sullivan is confident that Google will not violate this rule, but simply uses the popularity of its brand to place links to Knol pages on other resources.In this case, the analyst notes a dangerous trend when the delivery and creation of content is in the same hands. In an interview Leonid Delitsyn said that the market already had an example of an online encyclopedia built on the Google business model – when experts write articles, and the company shares advertising revenue with them. It is about the project eHow, which, however, could not win a serious position in the market. “In the case of Google, this is about the incomparable financial capabilities and popularity of the brand,” Delitsyn is sure. The analyst notes that those who are familiar with the Google brand are much more than people who know about Wikipedia. “Thus, for new users, Knol will become the first online encyclopedia by default,” said Delitsyn. IKS-Consulting analyst Elena Krylova also highly appreciates Knol’s chances to press “Wikipedia”. “As a rule, Google does not just copy the development of competitors, but creates on their basis new services with advanced features,” the analyst states. The advantages of Knol Krylov also include the fact that different opinions may be presented on one topic. The expert is positive about the intention to involve experts in writing articles. Among the reasons that prompted Google to create Knol, Krylova notes not only the desire to conquer the promising market, but also the opportunity to make a profit, which Wikipedia is missing because it does not advertise on its pages. It is curious that in March 2007, the founder of the largest online encyclopedia, Jimmy Wales, announced that the Wikipedia Foundation is going to create its own search engine, in which users can influence the search results. Now, the search giant Google voiced its plans to develop its own encyclopedia.